The networking architecture or network model specifies how computers on the network interact and communicate with each other. The network of the personal computers may use Client-server Network or Peer-to-Peer Network. In it, computers are connected to a central device (server) and communication is done through it. The server is the main computer which provides services to the workstation. The server computer provides resources to the workstations when the request is made. An unauthorized person cannot access the resources of the server. There are different types of server like print server, file server and network server, etc. Only an authorized person can access the resources of the network. It is more secure than the peer-to-peer network. All the workstations can be managed from a single server computer. The required application can be installed on the server computer instead on the individual workstation. All the workstation has to depend upon server computer. It is difficult to set up the client-server network. A trained administrator is required to handle it. It is sometimes called workgroups. In this network, all the computers have equal responsibilities. Each computer has access to at least some of the resources on all the computer. Each computer in this network has equal right. It is suitable for the only small geographical area such as small rooms, building, school, etc. It is easy to set up a peer-to-peer network than a client-server network. Each computer in the network has equal right and can determine resources to be shared. It has low-level security than the client-server network. The expansion of the network is limited. The network performances degrade with a heavy load. The network of the personal computers may use Client-server Network or Peer-to-Peer Network. In client-server network, the server is the main computer which gives services to the workstation. 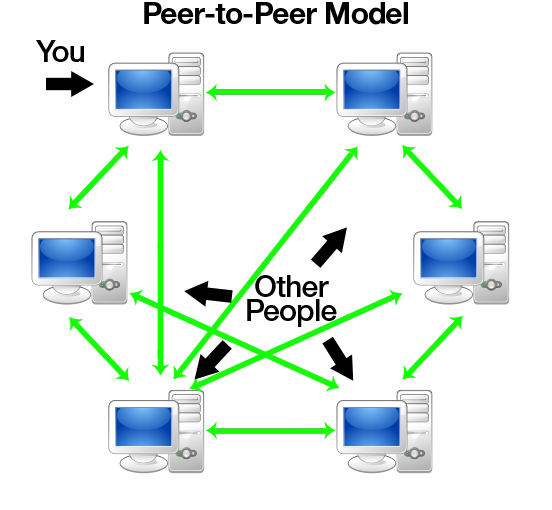 Peer to peer network is known as work groups where all computers have equal responsibilities. Mention the differences between client-server network and peer-to-peer network model. It is a network model where there is at least one server and one or more workstations. It is a network model where there are two or more client and no server. In this model, all the rights are with only server computer. In this model, all the computers have equal right. It is known as domain model. It is known as workgroup model. Write any four advantages of client server network. It is more secured than the peer-to-peer network. Define peer to peer network with its disadvantages. A network in which all the computers have equal right and are suitable foronly small geographical area such as small rooms, building, school, etc. is known as peer to peer network. It has low level security than the client-server network. The network performances degrade with heavy load. Define client server network with its disadvantages. 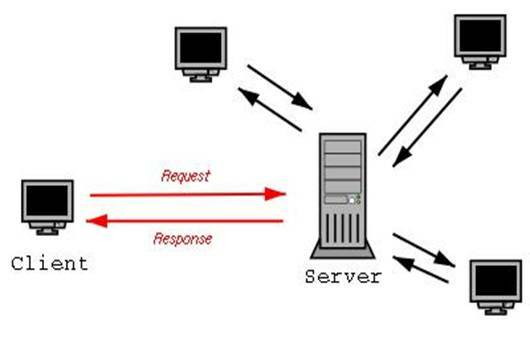 A network in which all computers are connectedto a central device (server) and communication is done through server is known as client server network. Write any two advantages of peer to peer network. ___________ model specifies how computers on the network interacts and communicate with each other. Which of the following is the type of Networking Architecture? Which of them is also known as work groups? Which of them is the disadvantage of Peer-to-Peer Network? The expansion of network is limited. In which network all the workstation has to depend upon server computer? Powerful and wide ranging network. Network based on direct cabling from the terminals. Network where there is no central authority. Any Questions on 'Network Architecture '?